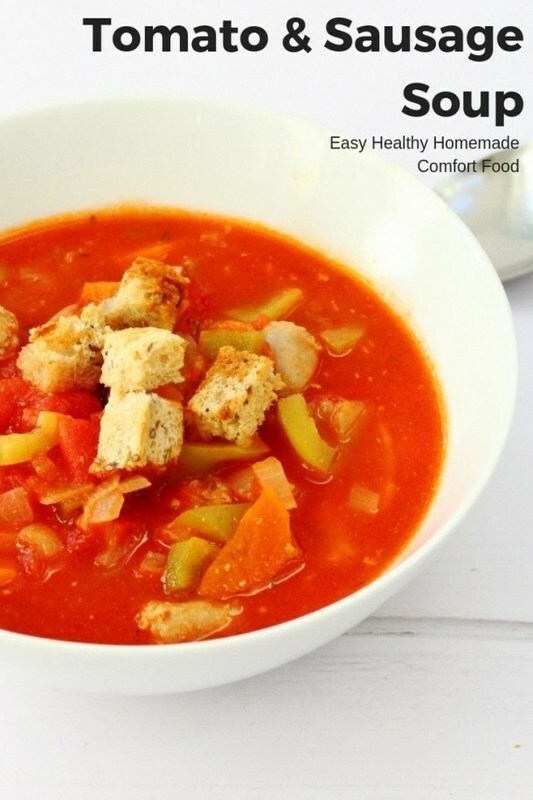 This warming tomato and sausage soup is easy to make and healthy. It's a great recipe to batch cook and then reheat later. Why not freeze it a lazy dinner?